A daring record; respectful of tradition, but lyrically and musically unafraid to carry it to thrilling new places. From the lysergic sidewalks of Haight-Ashbury to the homebrew-stoked hollers of Kentucky and campsites of Bull Run, to the rum-soaked high seas, Jim & Jennie make you feel like they're your traveling companions through the past and into what is to be. Weaving together Southern rock and folk idioms, the Pinetops ease into an alluring and shadowy new space that is an irresistible match between the Harry Smith creak of our American musical backwaters and the easy-on-the-way-down psychedelic vibe of the Fairport Convention and Buffalo Springfield. Collaborating with some of western North Carolina's finest musicians imbued them with a sense of stylistic freedom. They are also armed with Brad Hutchinson's Banjocaster, a nifty little instrument that can sound like an electric guitar, organ pedal steel and might even be able to do your laundry; it is that versatile. While Rivers Roll On By will please fans who have come to know them as a top shelf bluegrass unit, it also reveals a new sense of experimentation that raises them to a unique new standard. This album has the special quality of tapping into that primal kind of universal spookiness and desperation that just hangs in the clouds, that seeps into the trees, the hills, the seas and the bars. Adding to this stark framework, Jennie sings with a voice as fragile and powerful as a Walker Evans dustbowl photograph and their harmonies are as close as ever. A daring record; respectful of tradition, but lyrically and musically unafraid to carry it to thrilling new places. There's still plenty of high and lonesome harmonizing to go around, but "Hannah's Song" and "Mt. St. Helens," with their stark drumbeats and tasteful electric guitar licks, could have been lifted off one of Neil Young's country-oriented efforts. Benford's [voice is] a mezzo soprano that sounds like a mountain sunrise. 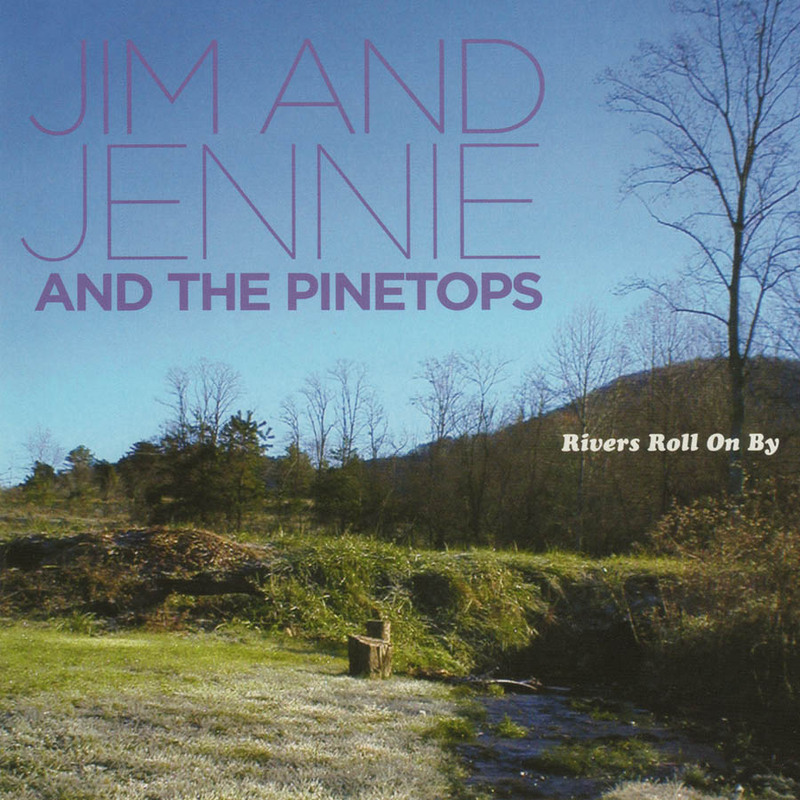 Jim and Jennie split their time between stark ballads and rollicking stompers, both played with aplomb, and there's rarely a misstep. They're the kind of fresh air bluegrass music needs from time to time -- fiercely talented musicians who can craft their own tunes to stand aside their choice interpretations of the repertoire while applying some exuberant irreverence to the process. It sure as hell isn't lifeless covers of still-warm chart fodder -- those will not stand the test of time. The energetic harmony singing can raise the hairs on your neck… The tunes sound simultaneously timeless and old as the hills. Psychedelic desert pop music. Straddles delirium and ecstasy, when the vultures circling overhead look like doves. It's the sound of a bead of condensation rolling down a beer glass at a grimy cantina. To sum up: The space. The rivers. The tall grass. Went back to the folk and blues, back to Townes and Dylan, Jim Harrison and Sam Shepard, driving instead of flying.